at Php 4999 (or Php999 each instead of Php1795). 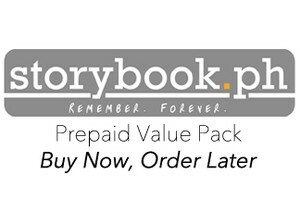 Use your Prepaid Value Pack Landscape 60x5 to create five (5) separate 60-page Landscape Photobooks within 90 days from the date of purchase. 1. After purchase confirmation, you will receive an email with an order link to use your Value Packs. 2. You may also access your Value Packs through MY ACCOUNT.